More than 400 yachts out of the best shipyards. most of them brand new or 5 years maximum. 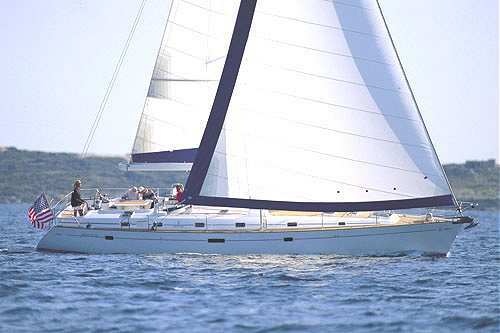 http://www.bavaria-yachts.com/ http://www.beneteau.com/ http://www.dufour-yachts.com/ http://www.fountaine-pajot.com/ http://www.cata-lagoon.com/ http://www.jeanneau.fr/ http://www.dehler.ch/ http://www.alubat.com/ http://www.jeantot-marine.com/ http://www.huntermarine.com/models/index.htm http://grandsoleil.net/ http://www.kirie.com They all comply to the LLOYD or BUREAU VERITAS requirements. 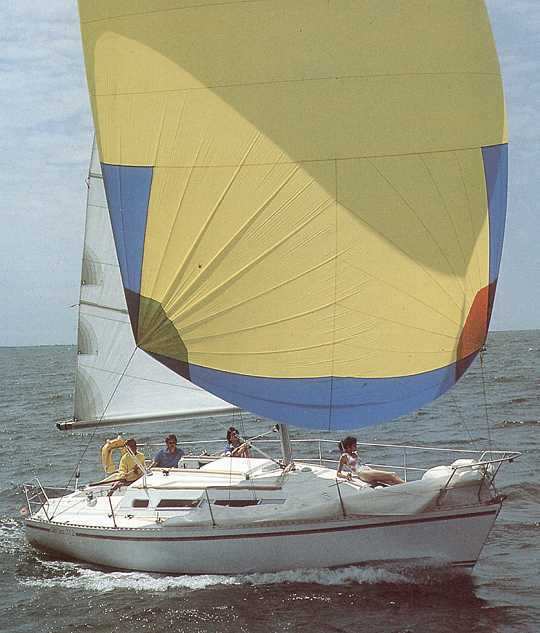 The sails: The jibs are on roller reefing systems, main sails are traditional or roller reefing in the mast. Engines; more powerful than usual requirements of shipyards. They will be helpful in all kind of weather and port maneuvers. 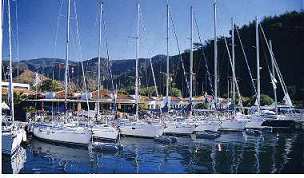 Maintenance: We are sailors, it is our priority because we also sail on these yachts. Maintenance is security. Insurance: All yachts are fully insured against damage to hull, gear and equipments as well as for third party liability. 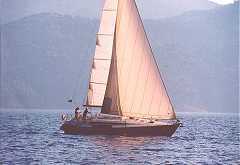 Yacht equipment is complete: bed linen and blankets, towels, galley complete inventory, fridge, stove, sink, shower, gas bottles, navigation instruments, nautical guide and books, charts, CD or cassette player, dinghy, electrical windlass... You just have to come with your personal summer gear. A complete documentation is given for each yacht each inquiry. We sail in a hot country. Life is spent mostly outside ! The cockpit size is more important than the inside. one week is a minimum to take advantage of your cruise. fill 80% of the yacht maximum persons capacity for cruises longer than one week. 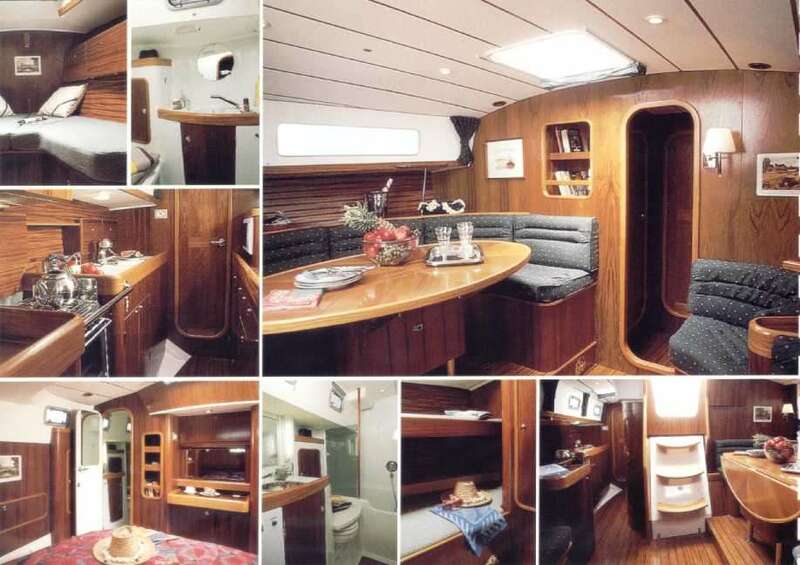 Beginners, families with young children: Ideal, the CATAMARAN most spacious and stable of all!